A FANTASTIC RETRO STEAMPUNK STYLE LIGHT SHADE. THE BULB HOLDER HAS A 10MM THREADED ENTRY SO HOOKS AND CHAINS CAN BE USED. Tripod Spotlight Floor Lamp. Good condition and rarely been used. 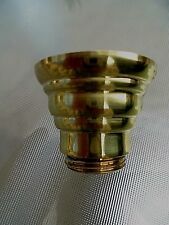 A SET OF 5 GOOD QUALITY ENGLISH MADE SOLID BRASS STANDARD BAYONET FITTING LAMP BULB HOLDERS. Decorative lamp stand standing on circular base, in good used condition. 60cm high to top of lamp holder. MAHOGANY STANDARD LAMP. FLOOR LAMP STAND / LIGHT. (building supplies) entrance. Access to our unit is on your right. Asian / Oriental & Middle Eastern Collectables and Artifacts. --- HOUSE CLEARANCE SERVICE AVAILABLE ---. Made by Simplex in Britain. The tripod is a wooden surveyors theodolite tripod which as been stripped and waxed. They just add character. The lamp has been stripped, had the front glass replaced and rewired with an inline switch and 13a plug. Tiffany Mackintosh Vase/Tea Lamp. This Tiffany tea lamp/vase is individually handcrafted in leaded stained glass. The pattern on this vase is a striking interpretation of a tulip design by Charles Rennie Mackintosh (1868-1928). ANCIENT BASED OF LAMP AT OIL. FUT CERAMIC. HEIGHT : 29 CM. INDUSTRIAL STYLE. LENGTH OF CABLE & LIGHT APPROX 100CM. MODEL No 2320. POLISHED IN THE LIGHT OAK SHADE. A OLD CHARM STANDARD LAMP WITH SHADE. MANUFACTURED BY OLD CHARM FURNITURE. FLOWERED SHADE (if wanted free). NO FANCY BACKGROUND DISPLAY'S OR SOFT PHOTOGRAPHY JUST HONEST CLEAN FURNITURE WITHOUT ALL THE JARGON. 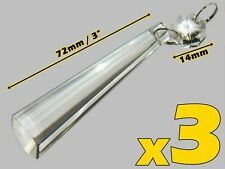 A superb quality shade suitable for a double wick, duplex lamp. This shade will look fantastic no matter what lamp it is on. Etched Oil Lamp Shade. the shade only, the lamp is for illustrative purposes. Great looking industrial style piece. Will need rewriting I would of thought. Antique vintage style 2 x arm brass desk lamp table light. In good working order and in nice condition, some general wear and tear. Height : 22 inches. Width : 10 inches. This Tiffany tea lamp is Individually handcrafted using traditional glass staining processes. Variation in colour and pattern is a natural characteristic of this process. This tea lamp can also be used as a vase however, would need a glass inside as water may eventually seep out because of its design. Mosaic Moroccan Influenced Tiffany Table Lamp. A Moroccan inspired large double bulb lamp. This is a truly magnificent shade in the shape of an umbrella form which has a jewelled edge with amber droplets to form a beautiful profile to the bottom edge of the shade. A RETRO STYLE LIGHT SHADE. MADE FROM STEEL WITH A GREENY GREY FINISH AND WHITE INTERIOR SUPPLIED WITH A UK MADE B22 NICKEL BAYONET BULB HOLDER WITH BUILT IN CORD GRIP. Electrical class II. Number of bulbs required: 1 (not included). 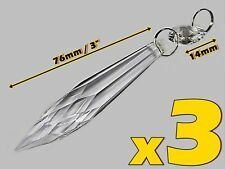 Bulb type: Maximum 60W Edison screw GLS. 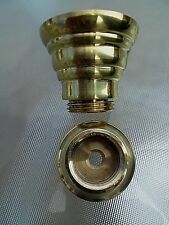 Unrestored antique brass wall lamps. No sign of any visible damage. Super quality and original lights. The gods shades can be easily taken off by loosening the three small screws on the light top. Tiffany Mackintosh Influenced Table Lamp. A Mackintosh inspired large double bulb lamp. The pattern on this vase is a striking interpretation of a classic design inspired by Charles Rennie Mackintosh (1868-1928).